Adding little bit of spice in your life is always a good thing, and Nola’s doing just that with their Louisiana brunch. The New Orlean’s themed restaurant, located in the historic neighbourhood of Walkerville, serves up a brunch menu that is bringing some of that Creole flavour to a Sunday tradition. 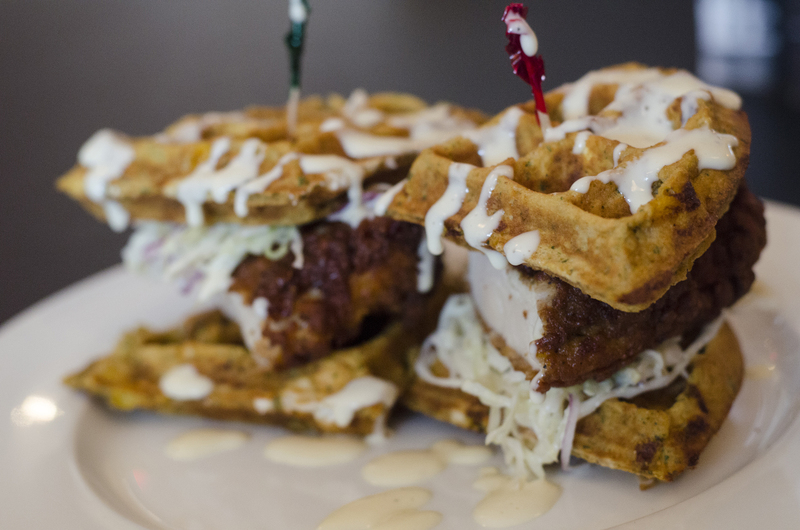 Fried Chicken & Waffle Sliders from Nola’s in Windsor, Ontario. Voodoo Shrimp Benedict from Nola’s in Windsor, Ontario. Layer upon layer upon layer of goodness. 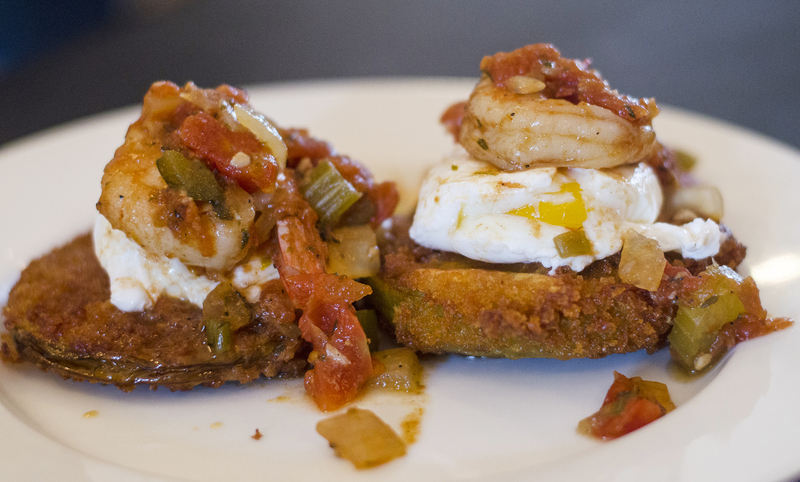 Fried green tomatoes serve as the base for a poached egg which is then topped with a jumbo shrimp in a Creole tomato sauce. The Bayou Benny from Nola’s in Windsor, Ontario. 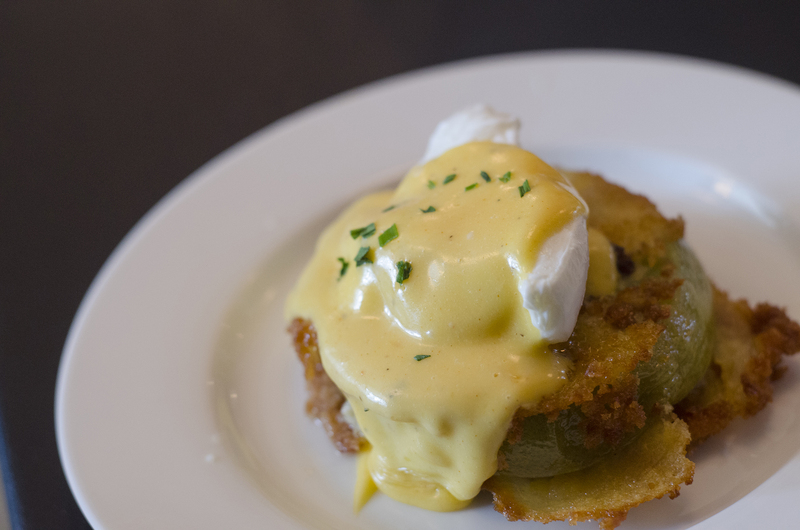 More poached eggs and more fried green tomatoes! The Hollandaise sauce is made in house and yummy to your tummy. BBQ Shrimp & Grits from Nola’s in Windsor, Ontario. 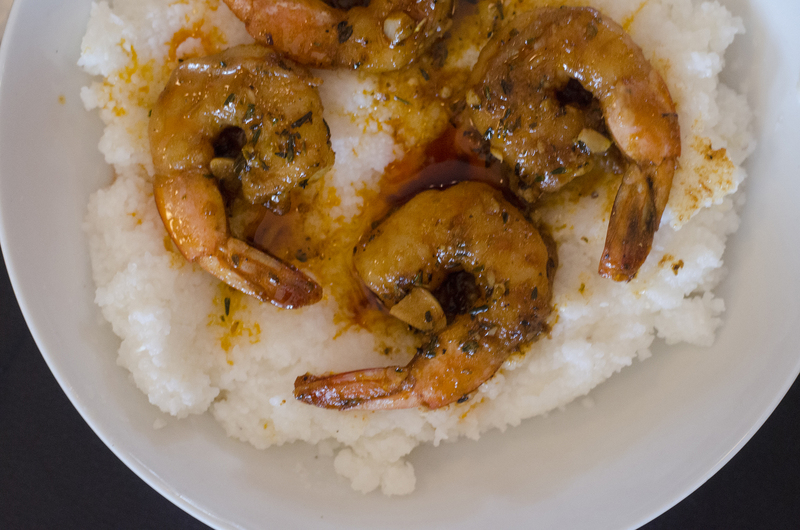 It almost doesn’t get as traditional as grits. Throw in some BBQ jumbo shrimp and you’ve got yourself a treat. 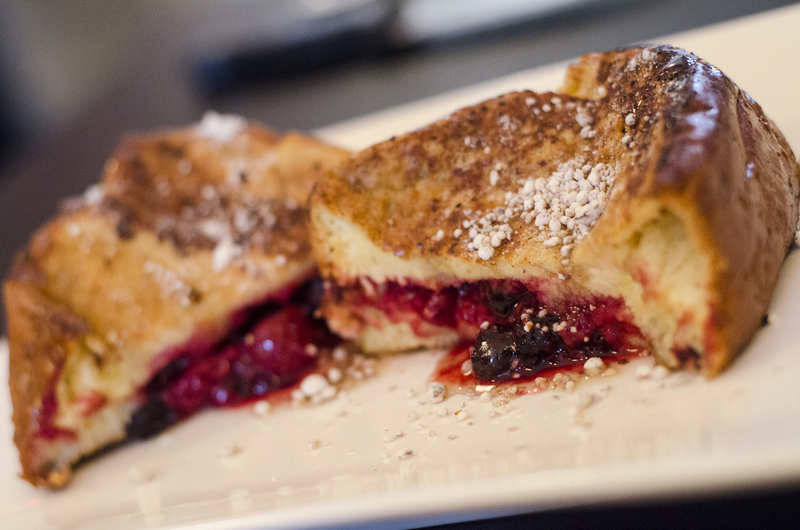 Stuffed French Toast from Nola’s in Windsor, Ontario. And on the eighth day, he made stuffed French toast. Each day will feature a different filling. The one above was a berry marmalade.